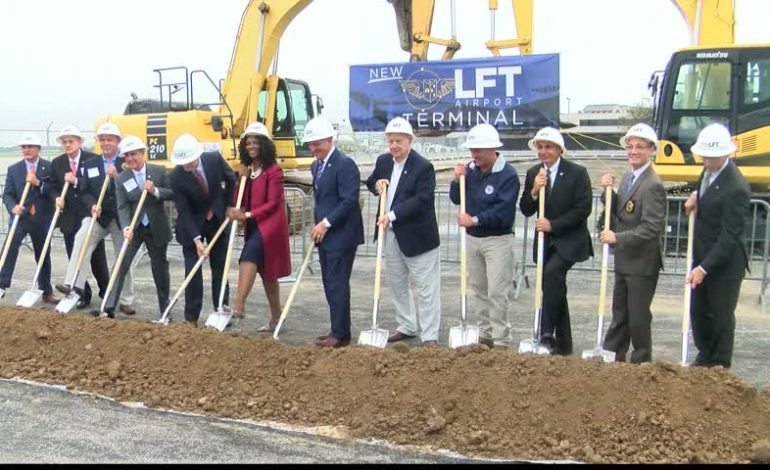 A new terminal for the Lafayette Regional Airport is inching closer to reality after a groundbreaking ceremony. “We have outgrown the current terminal. TSA is one of those issues where we really don’t have much room for expansion. We can’t bring in a new security checkpoint. The new terminal will have two checkpoint lines with the ability to go to 3.” said Steven Picou, Executive Director of Lafayette Regional Airport. “We are going to have to make sure that we tend to our transportation infrastructure needs and this community is setting a fine example.” said Governor John Bel Edwards. Other officials such as Congressman Clay Higgins and Senator Bill Cassidy are excited to see how this will boost Lafayette’s economy. “I had meetings today with medical professionals, doctors and nurses and also just came from a meeting with constructions and they are all very excited about this.” said Higgins. “Because when an executive director flies in to decide whether or not to put their business in this city. Their first impression is that airport.” added Cassidy. Construction on the terminal is expected to last two years.